The South West Centre for Reproductive Medicine (SWCRM) located at the Ocean Suite, Derriford Hospital, provides the highest quality treatment and care whilst understanding the anxieties and concerns of the patient. 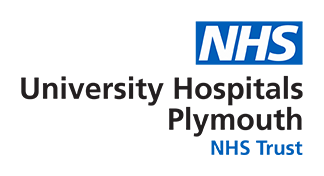 SWCRM is based in a purpose built unit within Derriford Hospital, Plymouth; we have been providing a full range of investigations and treatments for patients experiencing infertility in the South West since being established in 1998. With our purpose built facilities and highly experienced team, we have helped hundreds of patients throughout Devon and Cornwall and beyond. "Helpful, sympathetic and understanding staff. All qualities which are combined with a real professionalism"
We have a proven track record with consistently good IVF success rates making us one of the best units in the South West and the most successful in Devon (based on HFEA published data). "I am extremely grateful for everything you've done for me. The nurses were fantastic and very supportive"
We strive to offer a caring and sensitive approach within a dedicated and experienced team who appreciate the nature and problems of infertility, both physical and emotional. "You have an amazing team, so caring. Thank you so much"